For Part 1 of the interview with documentary producer Kim Min-chul (김민철), please click on the link. In this second part, producer Kim discusses his company Minch & Films, the current environment for Korean documentaries, and his acclaimed and powerfully moving filmography. Q) Throughout your filmography you seem to be attracted to stories about vulnerable people who find strength despite adversity. Iron Crows (아이언 크로우즈), My Barefoot Friend (오래된 인력거), Planet of Snail and Captain Kang all display this. What is it about these kinds of stories that attracts your interest? Why do you want to make documentaries about these subjects? A) To be cynically honest with you, I don’t believe that documentaries can change the world. I am also not interested in a “Let’s change the world” type of documentary let alone making documentaries about vulnerable people in unfair world. I also try to avoid the word ‘despite’ in any synopsis or treatment I write. As a producer, what counts for me the most in selecting a project is the ‘chemistry’ I have with the director. The same rule is applied for scouting production crews. I trust my gut feeling or intuition over a profile or CV. As every other producer does, I also make mistakes in selecting projects or scouting crews and it’s usually because I ignored my gut feeling and made decisions based on conditions and situations. Having recalled how I got involved in those films, I can only say that it’s really a series of coincidences that my filmography looks like this. I want to work with only good people because I don’t separate my professional life from private life. I am not selective about a subject but about filmmakers. I don’t care much about the subject but how a director deals with the subject. To my understanding, documentary is a form of cinema after all so it must be cinematically entertaining. Maybe I can put it this way; it’s not me who found the subjects but the directors who share certain values in life, and their tendency of filmmaking, and found me. 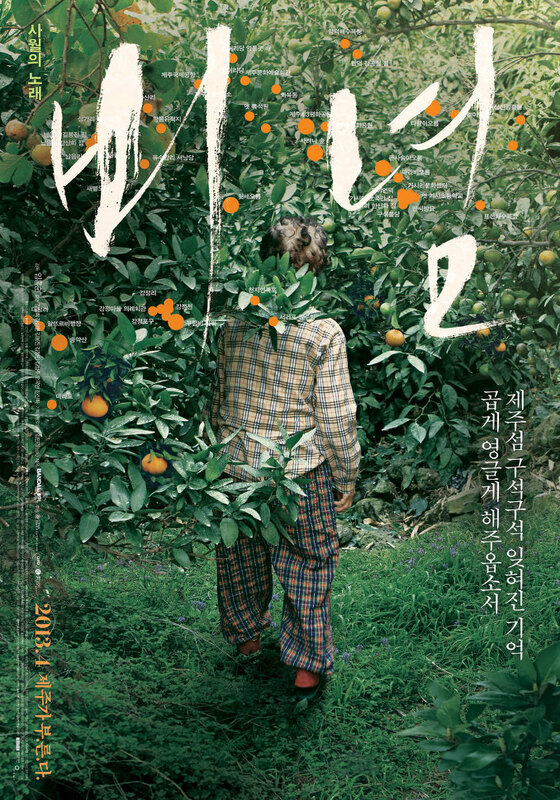 When Seung-Jun first pitched Planet of Snail – originally it was titled Hazy Journey of the Illuminating Tree – in April 2009, I showed my clear disinterest by saying, “Good luck,” because I was already depressed to hear how miserable life is for the deaf blind man and his crippled wife. I am not interested in making films I don’t want to watch. I didn’t see any charm in the character description or the subject of disability in the two-page proposal written by Seung-Jun in the very beginning of the project. What convinced me to board the project was the director’s vision I saw in the 10 minutes short film he made of the same protagonists he presented a couple of months after his first pitch. Seung-Jun somehow managed to depict the world of a deaf and blind poet without showing any pitifulness towards the characters. I watched his first feature The Children of God in the very evening of the same day at a film festival and I could almost visualize the film Seung-Jun was going to make. 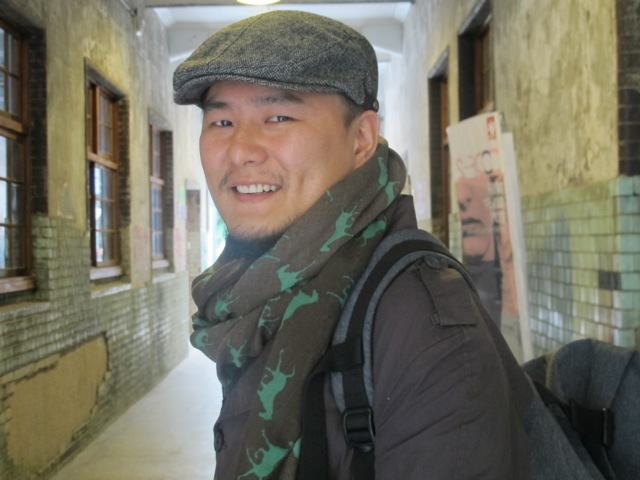 As for Iron Crows, I was fascinated by the dignity of the characters deliberately depicted as heroes, then I realized that the director Bong-Nam Park’s own experience of living as a gas cutter for 3 years really made him see them as colleagues and working class heroes more than pitiful documentary subjects. Captain Kang is a film that I put most efforts and am most proud of even though it’s probably not the most successful film. What impressed me the most besides his distinctive cinematography when the director Ho-Yeon pitched his story was his attitude toward the subject. I admire his dignity and humbleness as a filmmaker very much. When I decided to produce it, I was joking to the director that soon the industry would brand me as a disability specialized producer. Q) There are an incredible amount of Korean documentaries being produced in the industry today, mostly by independent companies. 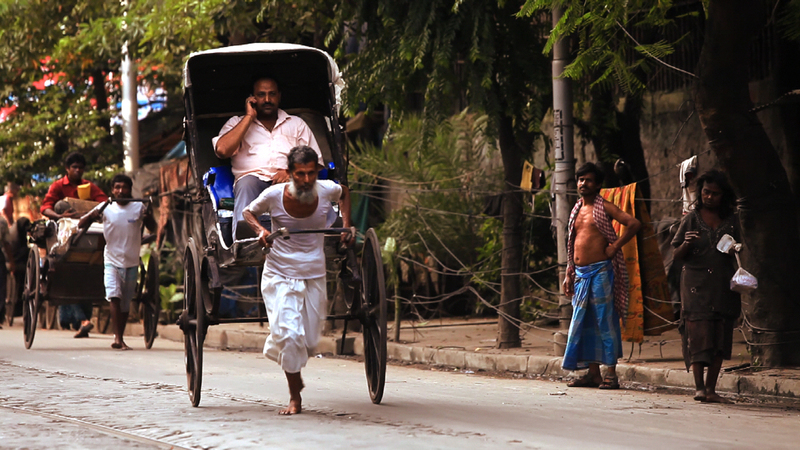 These documentaries are often successful at film festivals, yet fail to reach mainstream audiences. What do you think about the role of Korean documentaries in contemporary cinema? Why do they struggle to become ‘mainstream’? A) I am not sure what you mean by an incredible amount of Korean documentaries. In my opinion, there are far too little documentaries produced in Korea for the size of the population or the industry and compared to the number of fiction films. I am also not sure if you can say that these documentaries are “successful” in film festival circuit. Can you name 10 successful Korean documentaries in the entire history of Korean cinema without looking up your database? Despite the significant rise of current documentaries, I don’t think there are enough documentaries produced to make any meaningful market analysis in my opinion. And the documentaries are not diverse enough compared to the documentaries that are introduced at international documentary markets and festivals. It seems that most Korean documentaries come from either activism-oriented filmmaker groups or human-interest documentary groups who are often associated with TV documentary production. Activism-oriented documentaries often try to convey political agendas directly whereas most human-interest documentaries search for touching, often tear-jerking, human stories of vulnerable, and often pitiful, characters. Knowing how documentary has developed in Korea it’s more than understandable. Knowing how badly freedom of speech is practiced in Korea, I very much appreciate the role of activism-oriented documentaries that fill a niche in the mainstream media. However, I am missing ‘diversity’ here. Why are all the documentaries dealing with serious subjects almost always in a monotonously serious and direct fashion? Why is it hard to see cinematic documentaries? At film festivals and cinemas in Europe and North America I am seeing many diverse styles of documentaries screened and they are often successful these days. Many of them are highly entertaining yet still dealing with serious subjects such as social justice, war or human rights. Personally I would love to see comedy, musical, action noir genre of documentaries made in Korea by Korean filmmakers. Poor production quality is another thing that makes Korean documentaries invisible in mainstream cinema. Audiences don’t seem to care much whether it’s documentary or fiction when making decisions to watch films in cinema. You can’t force or beg audiences to watch a documentary despite poor production quality while the ticket prices are more or less the same, and it’s their decision which film they choose to spend their leisure time on. We filmmakers need to work on diversity and production quality of the film we make but I also think there is a serious need for more subsidies from the public sector, not only because of its value for the public good but also because documentary is too weak to freely compete in the market. 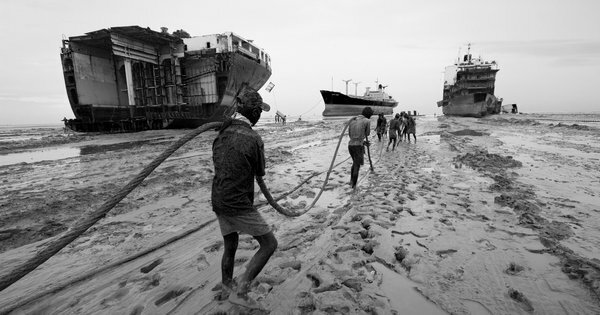 The government needs to have a long-term investment plan on documentaries in order to make it sustainable. Korean cinema is one of the strongest in the international film market and Korean filmmakers really make good films, but they take time and effort. I don’t believe documentary should be an exception. Q) You have stated in prior interviews that you have co-producers in Europe, America, and Asia. What are the benefits of having international co-productions? Why are they important/significant? A) I like to work with international crews with diverse backgrounds. This is one my strengths as a producer and I very much enjoy seeing how the collaboration between filmmakers with different cultural backgrounds creates chemistry and influences the end result of the film. Providing that filmmaking is teamwork, I feel like a great alchemist when intended collaborations work out. I finance part of my films by international co-production in return for working with production crews from the country of co-production. Planet of Snail is one of the successful cases of international co-production as the collaboration with Finnish sound team definitely added a lot to the production quality of the film, and my Finnish co-producer raised the whole expenses spent in Finland. However international co-production is a double-edged sword when it comes to the conditions for spending. The budget raised by international co-production needs to be spent according to the regulations set by each funder. Usually the money needs to be spent in the country of co-production and often they ask to hire local creative talent. It can be very good if there is room for the talent and your co-producer has the right creative talent for your film to work with. What if there is no more room for creative talents? What if you don’t know how to communicate or work with international film crews? Nowadays I see many producers and film professionals who tend to believe that international co-production is a cure for all and blindly jump into the trap of bad co-production. What’s the use of raising international funds if there is no creative talent who can contribute to the film, or you don’t know how to work together? Q) You have created your own company Minch & Films. What do you hope to achieve through the company? Does having offices in Seoul and Holland benefit Minch & Films in any way? 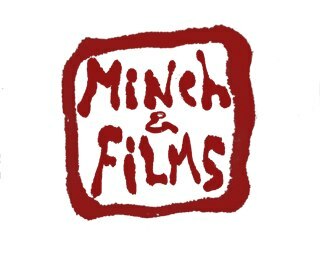 A) Since 2011, I founded and own my own company Minch & Films currently based in Seoul. I established Minch & Films to be a true story based production. Currently Minch & Films is based only in Seoul while collaborating with post-production talents in Belgrade (Serbia) and multiple co-production partners in Europe and North America. Currently Minch & Films (or better as producer Min-Chul Kim) is more known internationally than domestically but we are not only making documentaries for international audiences but also for Korean audiences. We are not sticking to the documentary genre or film as platform but cross over genres and media such as game and comics. Q) Can you give any details about any future documentaries and collaborations you are involved in? Will you use Minch & Films to help promote them? A) State of Play is a feature documentary about what it takes to be a pro-gamer featuring the e-sports champion Lee Jae-Dong. This is a minor co-production with Visualantics, a emerging documentary production in Belgium. I brought Korean Communication Committee and Seoul Film Commission on board and it’s currently in the final post- production to be released in the summer. (See below for the trailer). MotoSeoul is a feature documentary about young people living on the edge of Seoul dependent on the speed of motorcycle such as quick service rider, Chinese deliveryman and high school bikey gang in the style of Hong Kong noir movie. It has been developed with Seoul Film Commission’s international co-production development support in 2011 although I have been developing this project since 2006. I am expecting to start production in the summer with Ho-Yeon Won as director (Captain Kang’s director). Scream For Me Sarajevo is a music documentary about heavy metal legend Bruce Dickinson (Iron Maiden’s frontman) and his band’s journey to war torn Sarajevo during the siege in 1994, and what a music concert meant to the people in the least humane living condition. It’s a music film, a road movie and a documentary about war, bravery and human dignity. I am currently visiting London for the pre-production meeting with Bruce and forming the production team. It’s in the early stage of pre-production. 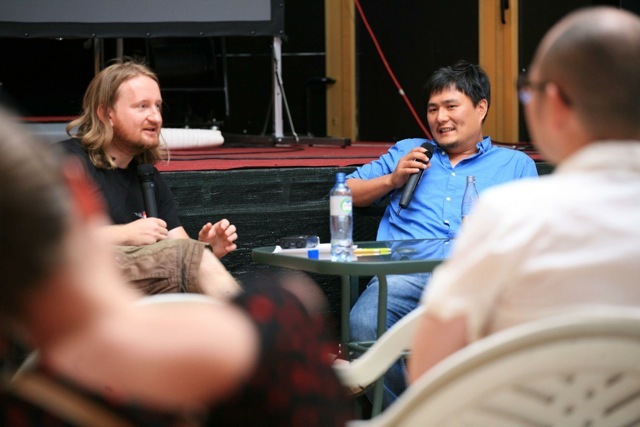 Q) Finally, what do you think about the current environment of Korean documentaries on the global stage? Are they well received, or are there limitations? For example, how do you promote your films internationally to achieve a high profile? A) Relatively more Korean documentaries are introduced to the international market since some of the documentaries achieved some level of international success. However global documentary markets are heavily dominated by European and North American productions while documentaries not only about China as subject but also directed and produced by Chinese are growing significantly in numbers as well as in quality. To promote my films internationally, I participate in pitch forums, film markets and festivals and work with international partners such as sales agent, co-producers, and publicists. I also experiment with multimedia platform. For example, I produced an educational app for learning finger braille language to promote social engagement of Planet of Snail. You can download the app simply by opening the site www.planetofsnail.com on any tablet device such as iPad. In order for Korean documentaries to be better received, we need more supports from Kofic and other public sector. There are always supporters behind successful documentaries. Hanguk Yeonghwa is incredibly grateful for Producer Kim for taking the time for this interview, and be sure to look out for his future documentaries on the film festival circuit.